About Katonah, NY – Happy to be your hometown Heating & Air Conditioning Contractor! Katonah, located about an hour northeast of New York City, in the county of Westchester, is an unincorporated hamlet that exists within the town of Bedford. Katonah offers excellent educational opportunities through the public schools operated by Katonah-Lewisboro Public School System or through one of two private schools: The Harvey School or The Montfort Academy. The Parks and Recreation Department provides trails, sites, and parks to the public including the beautifully maintained 234-acre Lasdon Park Arboretum Veterans Memorial. With an approximate population of 4,500 Katonah is relatively small but jam-packed with exciting, interesting, and fun things to do. Residents and visitors alike will relish in the lush gardens and live entertainment offered at the 100-acre Caramoor Estate; delight in the visuals offered at The Katonah Museum of Art; or enjoy a peaceful stroll along one of the Muscoot Farm walking trails. Those visiting Katonah will enjoy upscale dining experiences at places such as The Blue Dolphin Ristorante, comfort food at places such as the authentic Italian Peppino’s Ristorante; or the fun and casual selections found at Willy Nick’s Restaurant and Bar. 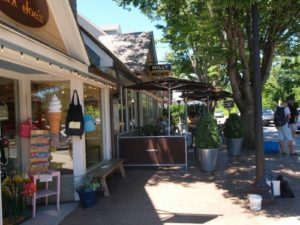 Often described as having a charming New England feel, Katonah is also a shopping lover’s delight with quaint and elegant shoppes aplenty, such as those loved by television personality, author, home designer, and Katonah resident, Martha Stewart. Other famous people who have called Katonah home include Ralph Lauren, George Soros, and Michael Crichton. Weather in Katonah is seasonal with cold winters and warm summers. We are active in providing higher levels of indoor comfort for families throughout Katonah. When one of our technicians or team of installers shows up at your door, you’ll know immediately that you are in very caring and capable hands. Preventative maintenance, home heating repairs, plus new system design and installation…Air Professional Associates does it all, and all with your satisfaction guaranteed. We also provide 24/7 emergency repair service for those heating problems that can’t wait until morning.